The 19”/2 RAID ST101 lets you act quickly in the field with four HDD’s that are easy to pull out on the fly. It also gives you exceptional mobility with its compact size and low weight. And with a fully rugged case and securely backed-up data it’s the perfect companion for sensitive field operations. 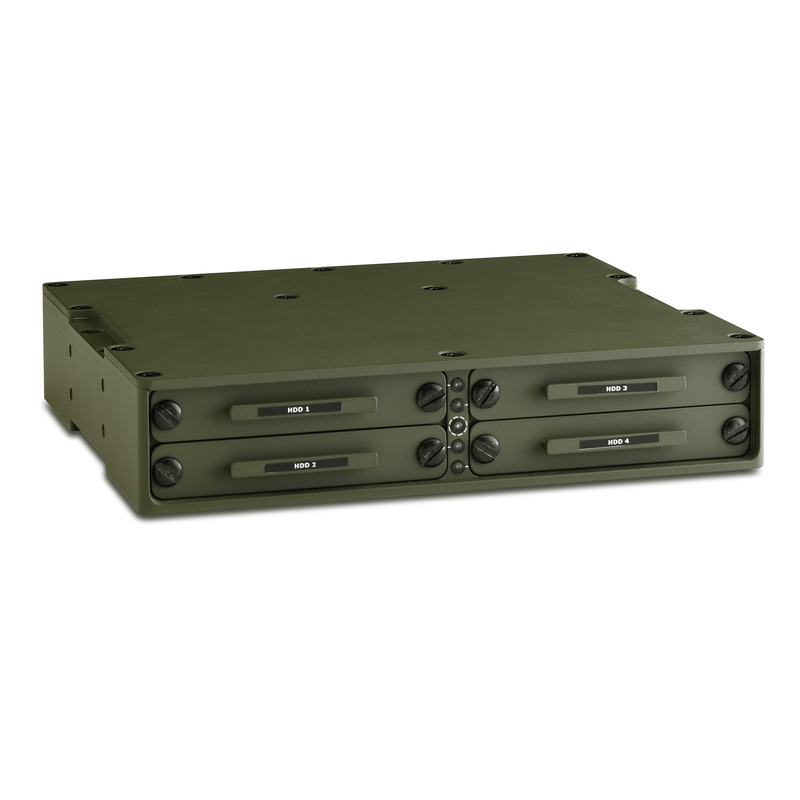 The RAID ST101 features an aluminium casing, MIL connectors and is designed for operations down to -40 °C. It’s also compatible with the 19”/2 Computer C2D CS101´s specialized heater that protects sensitive components from being damaged in cold environments. Our products always come with lifetime support to ensure your equipment maintains peak performance for many missions to come We also serve units and stock spare parts for 5 years after end-of-life.